CARE first worked in Peru between 1952 and 1958, in the field of education. We resumed our activities following a devastating earthquake in 1970, and have remained there since. 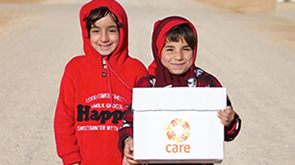 As well as delivering ongoing programmes, CARE Peru is now a full member of CARE International confederation. Peru is a middle-income country with high levels of inequality. Many people live in extreme poverty with scarce access to health services and education. Our programmes empower vulnerable groups, including women, indigenous groups and rural populations, to exercise their rights.